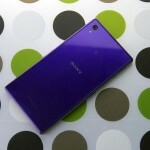 Xperia Z1 14.1.G.2.257 firmware major updated rolled out - Improves Camera, Display and Power Consumption. At last 14.1.G.2.257 firmware update rolled out for Xperia Z1, a major update it is. 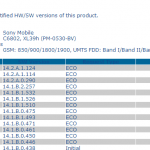 A few days back we reported that 14.1.G.2.257 firmware is coming soon for Xperia Z1 and here it comes 🙂 Current 14.1.G.1.534 firmware is replaced by this new series 14.1.G.2.257 firmware and it has brought a lot many changes under the hood for Xperia Z1 users. 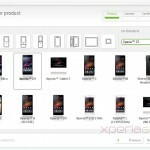 Sony has also confirmed that a new update is rolling for both Xperia Z1 and Xperia Z Ultra and also listed an official changelog, well we will discuss it later. 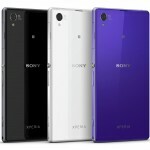 To our knowledge 14.1.B.2.257 firmware update for Xperia Z Ultra also will be coming out soon. 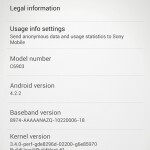 14.1.G.2.257 firmware on Xperia Z1 keeps it on Android 4.2.2 and is confirmed on both C6902 HSPA+ and C6903 LTE handsets. 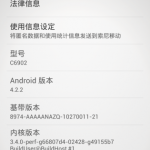 14.1.G.2.257 firmware is confirmed in regions like Vietnam, France, Netherlands and to some user’s C6903 in USA ( AT&T ). 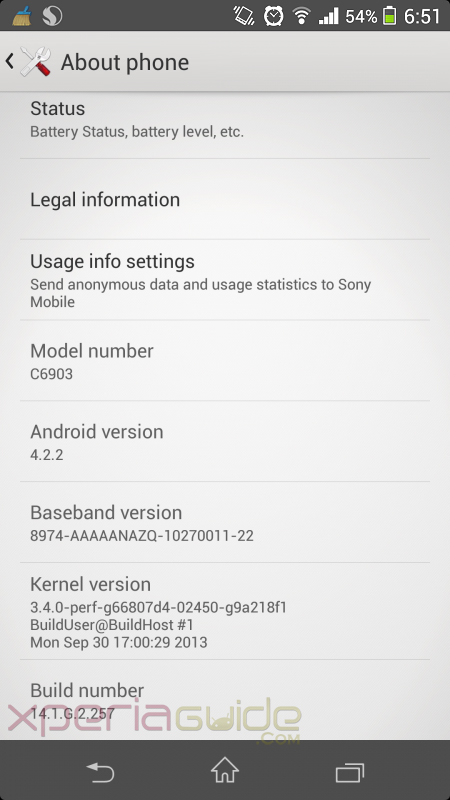 How to flash Xperia Z1 C6902 India / C6903 14.1.G.2.257 ftf using Flash Tool Manually ? 14.1.G.2.257 firmware is available via OTC as well as PC Companion / SUS and on Bridge for Mac. 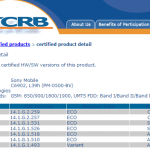 Xperia Z1 users are asked to check it. If you see a notification in update center app on your phone then update via it other wise connect it to PC Companion. Check the notification as it is shown below and proceed as per on-screen instructions. 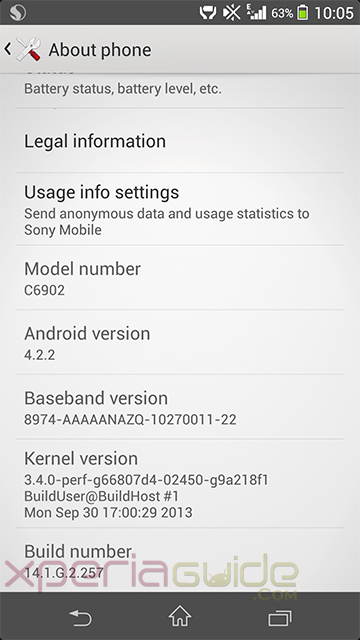 For those who haven’t got it yet, can download manually the 14.1.G.2.257 firmware ftf from below link and flash it on your Xperia Z1 using FlashTool. Download above file in your PC and flash it manually using flashtool. Do comment with your changelog, it will help us to find bugs in this new firmware. 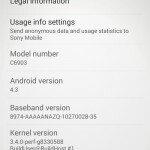 nothing here in India yet…any Indian C6902 user got it ? yellow hue issue fixed ? how’s the screen saturation now ? phone heating issue gone or still there ? you have posted both links of Screenshots 😛 Post screenshot of software info. Dial *#*#7378423#*#* and service info > software info. Which version of flashtool you used and post the link of ftf. so you have any idea when will the official update roll out to india ?? no idea, still waiting. Many countries have not got it yet. 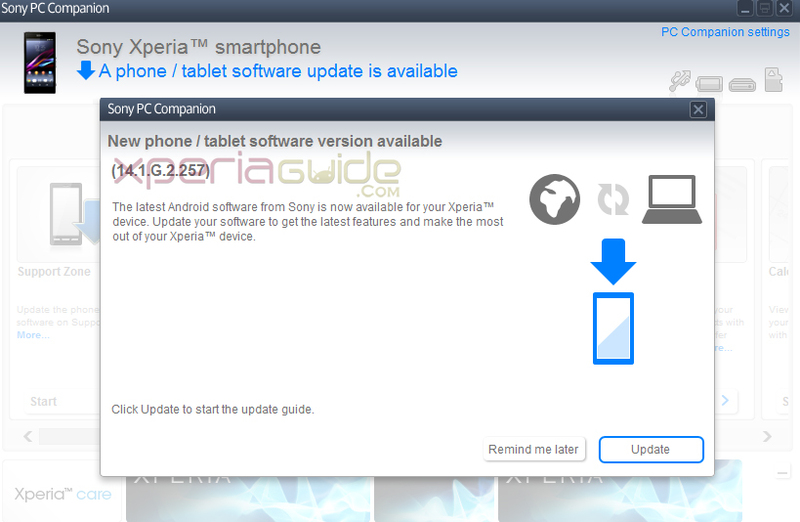 Though it is updated in Sony’s respective region website. 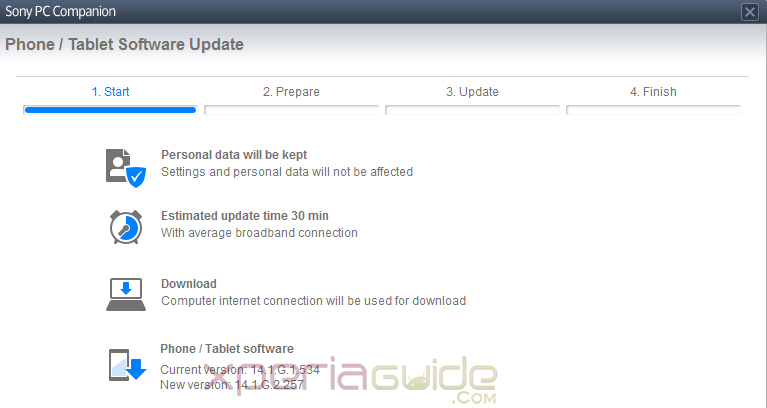 What i think is now try to re-install firmware via PC Companion or SUS you may get the Indian version of it. have you tired ? Does it work ? I wanted to tell that :- first flash .257 ftf for c6902 and then re install firmware via sus then do you get indian version or journalist ???? do post your review on it, especially on screen quality. I just noticed that when I am on a ongoing call, try to type another phone number on the dial keypad, but the numbers are invisible, not sure if it’s the update caused the problem or not. Could u pls help me to solve this problem. Thanks a lot.